I am such a sucker for pastel and rainbow hair. Maybe it’s because I still dream of being a mermaid. I usually stick to a more natural red shade, but every once in a while I can’t resist going blue. Or rather I finally have gone blue; the first time I went “blue” a few years ago, it turned out green! 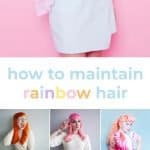 I’m still a newbie to figuring out what dyes work and how to maintain them, so I figured if you want rainbow-bright (or pretty pastel) hair, why not go to some of the ladies who rock these colors so well and get their tips and tricks? From bright orange and teal to cotton candy pink and purple, I’ve asked them to spill their secrets so I (ahem, we) can follow in their bold footsteps. Betty, your hair is so bold and beautiful! What’s your favorite dye? “Aha! Now that would be telling! I have been dying my hair orange for around 4 years now. I’m a natural blonde and was always reminded that I was lucky to be born with a shade so many women pay for. But if I’m honest, I never felt more like myself than when I turned into my tangerine dream! I first took the plunge at a local hairdressers, but I wasn’t completely happy with the shade. So I decided I wanted to create my own. I had visions of a bright solid orange with golden undertones, and after many trials and errors at home, I found my perfect mix. I think it all worked out because I went to a hairdresser originally to get the base right. I go for regular Olaplex treatments at my local sassy savior salon, BLOW, in Glasgow where they gloss me over with Psychedelic Sunset from Manic Panic. I was recently in a photoshoot with them where they died a chunk of my bangs bright yellow! It has been an enjoyable process getting back though, having fun with all the shades of peaches and creams as I build the color to its ‘natural’. Really, I couldn’t see myself in any other color. Amanda (or should I call you Honey Pop? ), I love your bold pink ombre hair! What’s your favorite dye? “I only use Manic Panic hair dye. The colors last the best and they are vegan, so no nasty testing on animal business! Alyssa your hair seems to be constantly changing from one pastel shade to another—you even have opal hair! What’s your secret? “I like to think of my hair as an art project, and messing around with different “potions” is one of my favorite parts of having pastel hair. I aways use a high quality conditioner as my base (usually Davines), and then add tiny bits of color from there, making the color in the bowl the color I want on my head. Though I’ve tried almost every brand, I’m pretty devoted to Manic Panic—the colors generally turn out exactly how they look in the tube, and they fade quickly enough that you can change up the color super often. I also really love Overtone for all the different shades, plus the pre-mixed conditioners are great for maintaining just one even color, especially if you’re new to the pastel game! Hi, Emi! Your purple hair definitely makes you look like a fantasy creature! How do you get this shade? “I love using Dare hair dye. I found that it gives a nice luminosity and multi-dimensional shimmer that other dyes don’t give you, and it’s an Aussie vegan hair dye! My color is a mix of Forbidden Grape, Poison Berry, and Neon Sherbet. Another favorite is Bleach London dye, which is already premixed (no need for dilution) and leaves your hair silky soft. Rae, your aqua and blue hair is giving me mermaid vibes. What dyes do you use to get it? “I love using Manic Panic, but unfortunately, it’s pretty hard to find here in Germany. When I am home visiting family and friends in the US, I always try to pick some up to bring back with me. Here in Europe, Directions is the popular go-to brand for non-natural hair colors, which I have had good experiences with as well. I tend to mix colors kind of randomly as I am not too exact about it, but for teal hair: 1 Atlantic Blue mixed with 2 Alpine Green. For blue hair, try Manic Panic in After Midnight. As for me, I went to my local salon for my bright blue. My hairdresser used a local salon brand in Electric Blue, and I’m going to follow everyone else’s tips to try to keep this mermaid hair for as long as I can! Cheers, Rebecca. Credits//Author: Rebecca Stice. My photo is edited with A Beautiful Mess Presets for Lightroom. Such a fantastic article! I’ve always wanted to try different colors for my hair (natural blonde, usually go with red/auburn shades). This is definitely some information to hang on to! Thank you Rebecca! PS, your blue hair is fab!! Love it! I played around with pastel hair in high school back in the day, before it was cool 😉 Then last summer I went a little crazy and went platinum blonde (and being a natural brunette, it took a LOT of work and processing) and added pink and blue highlights, for a cotton candy effect. I miss it! Ahh so beautiful! I especially love the pink + lavender combo. UGH this post is JUST what I needed. I started doing my ends pink (want to go the whole hog but I still have an office job…) and I was so frustrated when it kept washing out after only 2 weeks! You really do need to resist washing but my hair is curly so it’s hard not to since it looks like a rat nest when slept on. Can’t brush it either! I end up at least wetting it and using a cleansing conditioner. When all else fails, UP SHE GOES. A word to the wise – when they say pastel hair doesn’t last long, they aren’t kidding. I’ve tried adding pastel pink/corral to my hair so many times now and all the fancy hair salon dyes only last 2 washes. Manic Panic lasts the longest, but the only way to truly make a colour last is to get a more saturated and deeper colour. 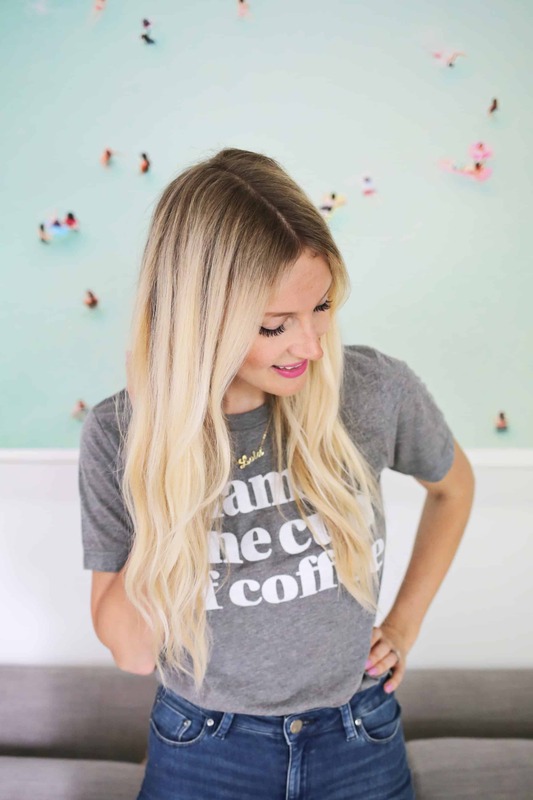 I’m from Toronto and went to the salon that Alyssa (interviewed above) sometimes goes to, or at least has gone a handful of times, and they were going to charge me >$500 for a pastel look that they admitted would probably only last a few weeks. It’s a serious investment, I’m always amazed at the people who maintain it! Love the pastel hair so much, I’m obsessed with being a mermaid too. Everytime I do my hair pink I use Manic Panic Cotton Candy Pink, love it when it fades out. God, now I’m missing it!! Such great tips!! I’m loving pastel hair… mine had a lavender hue for a little while, but I’ve been trying to maintain a silver, platinum color lately. It’s a lot of maintenance but soooo worth it! I used to be all over the candy-coloured hair in high school, and sometimes I fantasize about going back. I chatted with my hairdresser about it a bit, and the one caution she gave me is that you really have to balance it by putting extra effort into your make up and overall “look”, otherwise it easily comes off as sloppy. I am so not into wearing more than the tiniest bit of make up every day, so I got scared off. All the girls featured here seem to also be into a full face and more stylized “look” – any thoughts on how this could work if you otherwise like to go pretty natural? Can it be pulled off? I have super curly, short hair, so it’s already a bit “wild” by everyday standards. I love this post! I’m slowly getting into colored hair. So far the only crazy color I have done is an ombre of black and mix colors of reds, orange and some purples about 3 years ago. This time I wanna actually dye my whole hair either deep purple or silver but I chickened out at my last salon visit. I like the advice from Betty about ‘training’ your hair to get use to less washes and that is what I struggle with the most. The longest I can go without a wash is 3 days… My hair just gets unbelievably oily and gross feeling that I just cave in. Love the colors! Love this post! so since they only wash their hair about once a week, what do they do when they work out? how do you keep it clean if your sweating like crazy? So much good hair in one post! 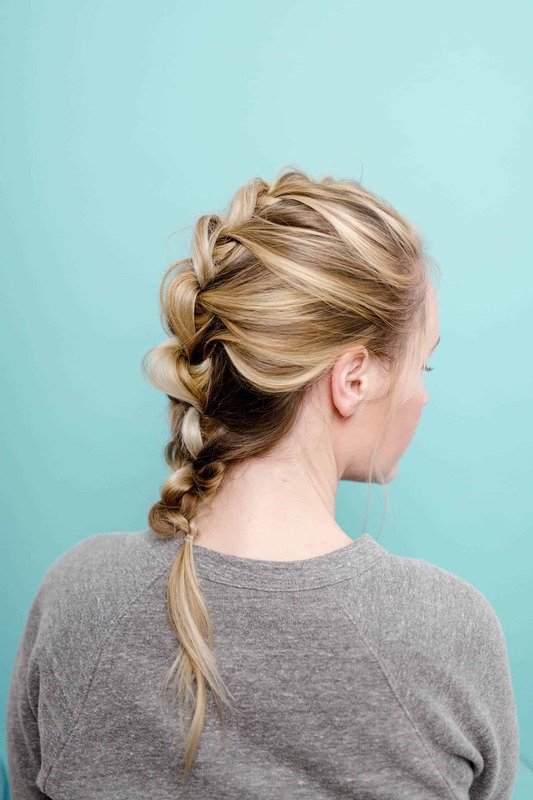 Love these tips, they would have been so helpful for me before I dyed my hair! I did it all myself (salons are so expensive), and went from my natural black hair to platinum blonde, now I have dark blue. ish. I love all of the different colored hair!! Thank you for sharing!! DUDE NO JOKE! And I leave my Manic Panic is for like 2-3 hours – walking around the house with foils and a bag on my head! Still! Only a lasts a few washes! People who can keep their hair bright for months HOW DO YOU DO IT!? Tell me your secrets! I LOVE all of these looks! Life is more fun with colorful hair! Thanks Hannah! I appreciate it. Us curly-haired girls have to stick together! Awesome post!!! I can’t wait to try these shades on my hair, they are so much prettier than regular earthy hues! I am utterly in love with both Betty and Rae’s hair colors. Ahhh……. I am absolutely in love with Amanda’s hair! For those who have said that they have trouble with dye staying in you definitely have to wash your hair less! There are some good dry shampoos out there that work great for between washes, Also when you wash your hair use cold water! Or at least lukewarm, hot water will wash the dye out twice as fast! I have also heard that washing your hair with vinegar helps it last longer but I have never tried that. After I get married this year, I was contemplating going pink…and this was the one more reason I needed! Thanks for the inspiration! Wow, exactly the information I was looking for! These all look amazing! I love a pastel shade and admire the guts it takes to go for a really ‘out there’ colour! I would always recommend getting your hair done professionally, especially if you’re going for something as different as a pastel or vibrant shade. If it goes wrong when doing it yourself, it could go REALLY wrong!